Pentatonic (five-note) scales are the basis for simple folk melodies and nursery rhymes all around the world. So how is it that they can be used in jazz so powerfully, to create so many colors and degrees of tension and dissonance? Let’s take a look. We’re all familiar with the notes in a C major pentatonic scale: C, D, E, G, A.
I’ve circled C in bold to indicate that it is the root of the scale. Notice that the other notes of the scale lie clockwise from C, which indicates that they are bright sounding notes relative to C. (See my post about brightness & darkness.) Hence the majorness of the scale. The minorness of this mode stems from the fact that now most of the notes lie counterclockwise from A, the new root, which makes them sound dark relative to A. For expedience, I’ll use “C pentatonic” to mean C major pentatonic; if I mean a minor pentatonic scale I’ll say so explicitly. Among the pentatonic scales of western harmony, the major and minor pentatonic scales are by far the most widely used. For convenience, let’s refer to major pentatonic scales and their modes—including the minor pentatonic—as standard pentatonic scales. As collections of notes, standard pentatonic scales are all identical; they differ only with regard to transposition and which of their five notes we consider the root. Standard pentatonic scales have as much tonal focus as possible. Looking at the diagrams above, you can see that the notes lie clustered together as tightly as possible on the circle of fifths. Since notes near each other on the circle are tonally similar, that’s a visual way of understanding that the scale has as much tonal focus as possible. This tonal focus is something you can hear in the standard pentatonic scales and not in seven-note scales. The similarity of the notes leads to a coherence of the sound. Standard pentatonic scales have as little dissonance as possible. The more half-steps and tritones are contained in a scale, the greater the scale’s potential for dissonance. But a standard pentatonic scale contains neither half-steps nor tritones. In fact, of all the collections of notes that contain neither half-steps nor tritones, the largest ones are all standard pentatonic scales; all others have fewer than five notes. Because standard pentatonic scales are so tonally focussed, their notes are somewhat interchangeable. Substituting one note for another in a pentatonic line will change the shape of the line, but it does not much change the overall harmony implied by the line. By contrast, seven note scales contain notes that are very harmonically distant such as half-steps and tritones. These create mini-cadences of tension and release within the line which, if they’re not timed sensibly, can sound like nonsense. To see what I mean, listen to two lines which I generated randomly by computer—one using the major pentatonic scale, and one using the major seven-note scale. To provide context, I’ve added a simple accompaniment to the tracks—please excuse the corny computer output. Notice that the random heptatonic major line sounds awful, whereas the pentatonic line sounds quite passable. Even random note selection can’t make a line that uses the major pentatonic scale sound bad. Once again, the random pentatonic line easily beats the random heptatonic line. Soo… how do we actually use pentatonic scales when we improvise? Once you choose a pentatonic scale, improvising using that scale is conceptually easy. Because even random note choice gives reasonable results, a player can use simple systems to create myriad pentatonic patterns that sound good. There’s no shortage of books & blogs full of such systems and patterns—for instance, Volume Two of Jerry Bergonzi’s Inside Improvisation Series. So let’s take on the key question of which pentatonic scales to use over which chords. In the F pentatonic scale, E, which is the brightest note of the C pentatonic, is replaced by the darker F. The F pentatonic is a poor choice to use for C major; it is so dark, relative to C, that it does not contain the most characteristic note of a major chord: the major third. Instead it contains the F natural, a tension note in C major that wants to resolve to the E that is absent from the scale. By contrast, the brighter G pentatonic (in which the C, the darkest note of the C pentatonic, is replaced by the brighter B) is a fine choice for C major improvisation. Yes, in order to contain the five brightest notes of the C major scale, one of the notes it omits is C, the root itself. But nothing says that we have to play the root of a chord when we improvise. I’ve indicated that C is still the root of the chord by enclosing it in a bold circle, but that it is not in the scale by making that circle dashed. Seriously? A scale that omits the root? First, the defining feature of a major sound is that the notes you hear are bright compared to the root. (see my brightness & darkness posting). That’s another way of saying that the root is dark compared to the other notes. That being the case, if want a very bright, major sound, and we’re looking to remove notes from the major scale to get a pentatonic scale, the (dark) root is a very sensible choice for removal! Second, the root is a note that someone else is very likely playing. The bassist, for instance. Unlike many other notes, it’s very likely that if you don’t play it it will still be heard. It may add melodically to what’s going on, but it won’t add harmonically. To turn the C pentatonic into the brighter G pentatonic, we replaced its darkest note with the first brighter note available. What happens if we repeat this brightening process on the G pentatonic? We replace the G with an F, giving us a D pentatonic scale. The F is not in the C major scale, but it is part of the brighter C Lydian scale. As a soloist we can almost always use the F over a C major chord, even if it is not written as Cmaj7#11; the question is one of judgement. Do we want that bright sound? The answer depends on the context and on what we’re trying to project. In modern jazz it is very often an appropriate option; many times in classic jazz too; much less often in older jazz and in pop music and blues. Can we extend this process one step further? That is, how about if we make the D pentatonic yet brighter? Now we’re entering a more subjective realm, but it’s a sound I personally like a lot. We’ve once again eliminated the darkest note in the scale—this time the ninth (D)—and we replace it with the D. We would normally call this note the flat nine in the key of C. But in the context of so many other bright notes, it actually takes on a super-bright sound. It makes more sense to me to call it a C and think of it as a sharp fifteen. Unconventional terminology, perhaps. But that note is the major seventh of the major seven chord based on the ninth. The lower notes in that chord are the nine, the sharp eleven and the thirteen, so I find it sensible to think of it as the sharp fifteen. We could keep going… the next brighter choice is E pentatonic, which trades the A of the A pentatonic for a G. That could be used over a Cmaj7#5 if you want to add the brightness of the sharp fifteen. But the air’s getting a little thin up here, so I’ll leave that for you to experiment with if you like. What pentatonic scales we should use over minor chords? The C minor pentatonic is the sound we are most used to hearing over C minor, but the others are useable as well— despite their being so bright as to not include the minor third. Note the contrast to the major case, where any pentatonic so dark as not to include the major third was unusable. The bright G minor pentatonic and D minor pentatonic simply include upper extensions of the C minor chord (the 9&11 and the 9&11&13, respectively) in place of primary minor chord tones, creating a more floaty, etherial sound. That makes them useful for “stretching out”—rather than for “digging into” the minor sound. Going one step brighter gives us the A minor pentatonic. But that is the same as the C major pentatonic, which is to say that it contains E, the major third, and no E. It is of very little use over C minor. Here we have flattened the five in the accompanying C minor chord to accommodate the G in the pentatonic line—making it a Cm75 half-diminished chord. The sound may not seem very useful as is because the example vamps statically over the chord. But when we place it in the dynamic context of a minor ii-V-i progression, we can hear its use. Here is Cm75 to F7alt, resolving to Bm. The line over the Cm75 is E minor pentatonic. A minor pentatonic? What happens if we go one notch darker still? By moving from the E minor pentatonic to the A minor pentatonic, we replace our minor seventh with a major seventh. Nope, that’s too far. Apart from the root, the two essential notes in any dominant chord are the major third and the minor seventh. Since they are a tritone apart, we know they can never belong to the same standard pentatonic scale. After all, standard pentatonic scales contain no tritone pairs. That gives us two choices if we wish to use pentatonics over dominant chords: either sacrifice one of the key notes (the third or the seventh)… or else use a non-standard pentatonic scale. I’ll deal with the second option at length in a separate blog post. For now let’s consider just the standard pentatonic options. Here is the C Mixolydian scale, the scale we’d be likely to use to improvise over a basic C7 or C9 chord. We can rule out the B and F pentatonics because they contain the fourth (F), an “avoid note,” in place of the major third (E). Our remaining option, the C pentatonic, contains the major third (E) as well as a number of other basic chordtones of C7 (the root, nine, fifth and thirteen). The problem is… it’s pretty boring! Without the minor seventh it lacks color and tension. We can use it some in static situations, such as over a blues, when we don’t need to emphasize the resolution-seeking quality of a dominant chord. (For instance, see this video by Ralph Bowen.) Still, it doesn’t contain the “bluesiest” note of the Mixolydian scale. So, the C pentatonic works over C7 but is dull. Darker pentatonics such as B and F don’t work because they contain the fourth (F) instead of the major third (E). How about brighter pentatonics? Unfortunately, those aren’t an option either because the next brighter note B, which we get if we choose the G pentatonic, is the major seventh—a useless alternative to the minor seventh. Visually, it’s immediately clear that, once again, our only standard pentatonic choice is the C pentatonic, which represents the five contiguous notes in the diagram. It’s an acceptable choice, but it leaves out the two most interesting notes, the bluesy minor seventh (B) and the very bright sharp eleven (F). Their radial symmetry on the circle of fifths means that they are riddled with “gaps”: the diminished scale has no more than two contiguous notes in a row, and the whole tone scale contains no contiguous notes at all… making for a terrible fit with entirely-continguous pentatonics. Remember how, when we sought a standard pentatonic scale that included the minor seventh (B), we saw that any option that also included other Mixolydian notes would also have to include the fourth, an avoid note? Well, now we have a chance to use the B by combining it with only darker notes. Namely, the G pentatonic scale, which consists of the five continguous notes in the diagram. These are the minor seven, sharp nine, flat thirteen, flat nine, and flat five. The two absent notes are the root and the major third. It’s still not ideal that the major third is unrepresented, for reasons we’ve spoken of above. But here, in direct contrast to Lydian dominant, the notes represented are the most interesting notes of all the options. Using G pentatonic over a C7alt may not fully convey the dominant-ness of the chord, but it most definitely will convey the its outness and its darkness. As a side note, this very darkness of the F pentatonic also makes it a fine choice for Locrian, which we often use over half-diminished chords. F pentatonic contains the minor third, the diminished fifth, and the minor seventh of the Cm75 chord. The only notes absent from the scale are the root and the fourth. And both of those are dispensible… the root because it’s likely to be covered by the bass player, and the fourth because it is not an essential chord tone. Incidentally, we saw the sus pentatonic earlier, in our discussion of minor options. As a possible choice for C minor, we spoke of using the G minor pentatonic—which is to say, using C sus pentatonic. We observed that it gave a floaty sound that emphasized the upper extensions. The absence of the minor third is all that distinguishes the C9sus sound from the similar Cm11… so it is no wonder that the sus pentatonic, which contains no third at all, can be used over either. The two remaining modes of the major pentatonic scale are the third and fourth modes.  The third mode starts on the major third, which is the brightest note of the pentatonic scale (the furthest clockwise on the circle of fifths). As a result, all the other notes are dark by comparison, making this the darkest mode of the major pentatonic. We saw it above; it is just like the minor pentatonic, but with its fifth raised to a become a minor sixth instead. Because of that minor sixth, we could call it the Aeolian Pentatonic scale. The fourth mode starts on the perfect fifth of the major pentatonic. Its notes are the root, second, fourth, fifth and sixth. It is a major pentatonic but with the third raised to become a fourth – not a very useful sound in jazz. Here is a summary list of the pentatonic scales that can be used over a C chord and their uses…listed from darkest to brightest. D D, A, E, B, F D, E, F, A, B Cphr. I’ve left out the B major pentatonic because it seems to me it doesn’t have much use over C. Maybe I should have left out E as well—that’s not going to be of much general use either. Though, of course, in the right hands and in the right context, almost anything can be used well over anything. This content © 2016 Anton Schwartz. I play steeldrums and have always had a very hard time understanding or learning music I don’t know music but have always played by ear, do you know of any program or lesson that would help me to understand and learn the fundamentals of music? I would really appreciate any kind of help. I don’t have trouble playing melody lines but improvising without knowing what I’m doing is frustrating. I thank you in advance. I wish I had a good suggestion for you for introductory materials, LeRoy. Are you on facebook? If so, join the Jazz Education group and post your question there! This is a knock-out piece of work! Similar to your earlier blog “reverse engineering” dominant scales, this has helped me organize my thinking about pentatonic scale application. Insights like that described for, for example, Gb pentatonic to C7 alt. — I’ve always noted the “outness” of the sound, but never attributed it’s lack of “dominant-ness” to the missing R and 3rd (doh!). Also, thinking of the scales in terms of brightness/darkness (another excellent blog piece, btw), and how this “spectrum relates to the circle of fifths helps me think about how and when to apply pentatonic scales. Super-excellent blog, Anton – thanks, and keep them coming! A couple years ago I noticed that the 5 notes of the chromatic scale which are not included in any given major scale form a major pentatonic scale. I have a suspicion that such pentatonics might be useful in developing lines weaving from inside to outside and back again but I have not explored this much. Is this something that you have explored, Anton? Do you know of a recordings of artists that invoke this particular type of pentatonic-based inside-outside-inside transition in their playing? I would like to get that sound between my ears. I’ll keep my ears open for a good example. In the meantime, check out a tune like Night In Tunisia, which explicitly alternates between an V7alt chord (well, Eb7#11, which is the same as A7alt from the soloist’s point of view) and a resolved chord (Dm)… and check out what people do. It’s stuff you can also use over just Dm vamp to create tension, if you do it with conviction. Listen to Trane blow over Wise One and get familiar with all the altered dominant to tonic resolutions. Lastly, there’s an aebersold called Dominant Seventh Workout that has a couple progressions that would make for good listening & practice. Woody Shaw is the ultimate master of superimposing pentatonic scales on chord sequences. Listen to just about anything by him! I am a hobbyist. I played tenor in high school, quit for twenty years, and picked it up two years ago. When I audiate jazz improv, it sounds like early Joe Henderson. He’s stuck in my ears, even though I don’t have a great sense of rhythm. Recorda Me has been the highlight of my jam session repertoire so far. I’ve transcribed your solos on Swamp Thing and Pangur Ban, both of which provided me with great vocabulary and rhythmic ideas that I’ve been able to apply at jam sessions. I’ve found your blog really helpful, as now I’m working on improvising without pre-planned vocabulary. This pentatonic post in particular gives me a lot of ideas that I can sit down and apply today. As someone new to jazz from blues I found this so helpful. Really appreciate your time and efforts in sharing. Wonderful – you answered some questions that have been nagging me today. And you really, really made the circle of fifths seem much more meaningful to me. I understood it in a general sort of way, but you just tore so much meat out of it in this post that I really *get it* now. Thanks for some amazing knowledge! The “random heptatonic” improvisations that you say sound so awful, actually sound pretty good to my ears…and I think I figured out why! Your “generator” isn’t really random, and seems to have a predilection for placing chord tones on strong beats, and placing avoid tones on weak beats…and/or playing them more quickly than the other notes. The end result is surprisingly pleasant! This illustrates that the rhythmic placement of a tone within the measure can have a huge influence on perceived consonance/dissonance. Hi Glen. I’m glad you’re finding the post valuable. I’d love to help you but unfortunately I don’t have the information in any other format – I only created it for the blog post. Good luck with your sax pursuits, and let me know if I can be of any other help. Anton my friend, just loving your visual brain and artistic ears… I’m a bass player loving jazz and Pop and anything really, stumbled across your site a while back, LOVE IT cause you give options and guideline suggestions for what approaches could be explored… and the final taste of my ear is the usually what I go for, your directive visual and sound finger pointing to scales and their ability to carve out FUNCTION and MELODIC sound scapes has really helped me develop a critical approach to be a more IN CONTROL AND CLEAR AS TO WHAT IM HEARING and where I can go…..I also am looking to pick up a copy of HARMONIC EXPRESSIONS? yes it sounds like a brainiac music book to have in my arsenal… HEY GLAD YOUR ON PLANET BROTHER!!!! looking forward to hearing you if you come this way… Btw love your app. I use it and Love it!!!! So glad you’re enjoying the posts, Bohne – and the app. Please spread the word! :) And you’ll want to be looking for “Harmonic Experience” – that’s the name of the book. I know you’ll enjoy it (but it takes some time to digest)!